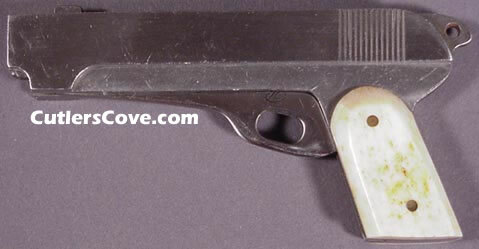 Parker Cutlery, bone scales or grips on gun handle, the gun-knife is stainless steel. 3-1/4" closed, near mint some carry wear. Patton's Army is on the blade. Made before 1984.